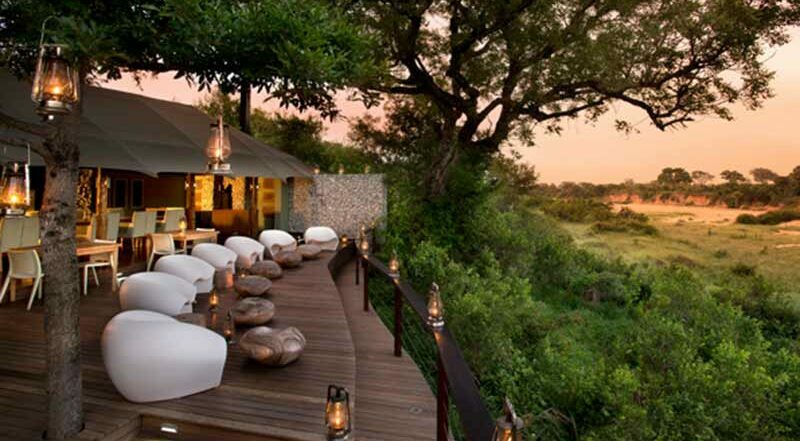 Ngala Tented Camp is known internationally for its sophisticated tented accommodation in tranquil African bush surrounds. The camp consists of only six luxurious tented suites with en-suite bathrooms, outdoor showers and overhead fans. There is a game viewing wooden deck and a contoured lap pool. Private lunch platters of delicious Pan-African cuisine can be enjoyed on the viewing decks or at the poolside. The area is renowned for Big Five, lion, leopard, elephant, buffalo and rhino game viewing encounters on game drives in open 4×4 safari vehicles led by expert rangers and Shangaan trackers. Ngala offers both off-road and night game drives affording excellent sightings and photographic opportunities. Discover interesting nocturnal animals on exhilarating, spot lit night game drives. Ngala Tented Camp offers unsurpassed game viewing opportunities of territorial, individually recognisable lion and leopard which are tracked on a daily basis. Cheetah tends to be nomadic but is regularly encountered. Endangered African wild dog can also be seen. Huge herds of buffalo and elephant are frequently seen quenching their thirst at waterholes which also attract white rhino and are favoured by hippo. Impala are the most abundant antelope, with resident wildebeest, greater kudu and steenbok among other common species. The rare Sharpe’s grysbok occurs in mopane woodland. Lone elephant bulls and breeding herds are regularly encountered. Honey badger, African civet and small-spotted genet are among the smaller carnivores regularly seen on night game drives. Packs of dwarf mongoose live in large termite mounds.